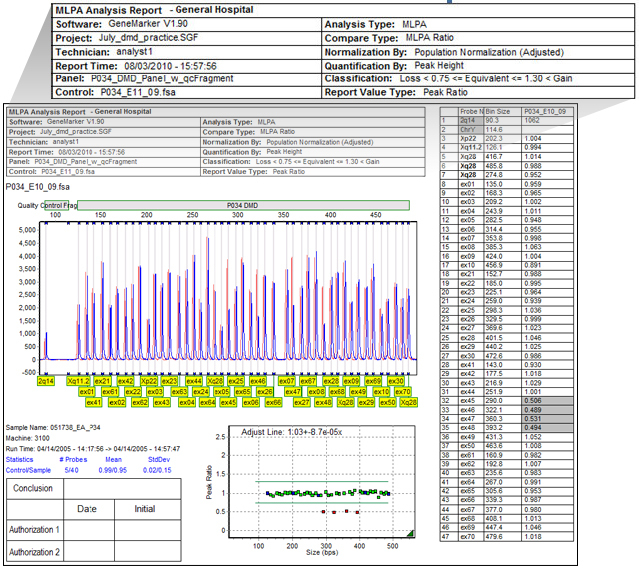 The basic operation of GeneMarker® software automatically corrects for most instrument and chemistry errors, such as saturated peaks, noisy data, wavelength bleed-through, instrument spikes, and stutter peaks. 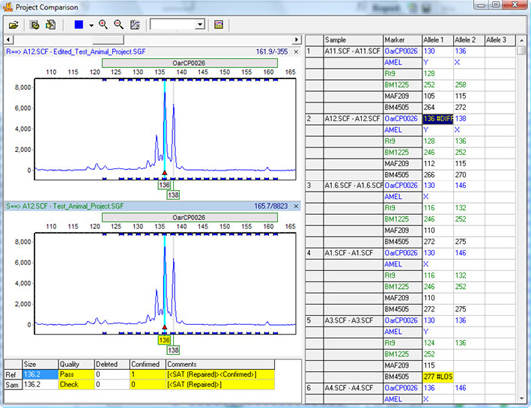 GeneMarker software's automated Run Wizard is designed to make repetitive analysis quick and accurate. The program is compatible with ABI®PRISM, Beckman-Coulter®CEQ, MegaBACE® genetic analyzers and most slab gel systems, such as LiCOR®, when used in combination with JelMarker® software. Additional tools in GeneMarker software include User Management, providing control of access rights, audit trail, and electronic signatures, and a Project Comparison tool to assist with validation studies and ensure consistent analysis for long term projects. Nearly every function of GeneMarker software has been automated so that once the template is selected from the menu, or created by the user, the software automatically performs the analysis, providing a myriad of display and reporting options. Once the analysis has been completed and confirmed the software saves all of the analysis parameters, raw data and results for easy archiving and call back at a future date. An Introductory GeneMarker software webinar provides an overview of GeneMarker software. 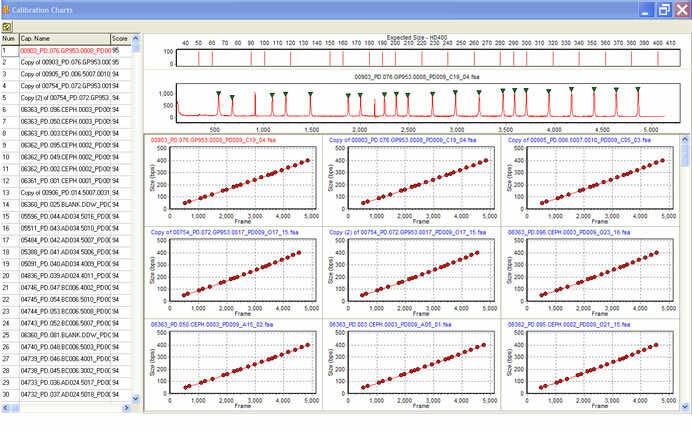 Once analysis parameters have been set or saved, two mouse clicks, (data entry, and then run) are all it takes to run an analysis on up to 1000 lanes of capillary data. GeneMarker software provides a lane by lane overview of unprocessed raw data, permitting a quick quality assessment of the data. GeneMarker software provides a quality control graph indicating the linearity of the size call of each lane. GeneMarker software's wizard simplifies parameter setting by "walking" the user through 3 simple steps. Templates can either be selected from several embedded templates or the user can create and save additional templates; detection settings are presented in one dialogue box that creates required flexibility in a simple to use format. Panel management and creation requires only a few mouse clicks! Once set the parameters can be saved and called back for future analyses.